Modern appearance to suit any location. Oak faced and veneered with real timber. Complete with your logo and name text. Additional names can be easily added. Supplied complete and ready to fit. These Honours Boards are constructed to the same high quality as our Traditional and Bespoke ranges. They are completed with a veneered or a routed edge instead of an Oak framed edge. 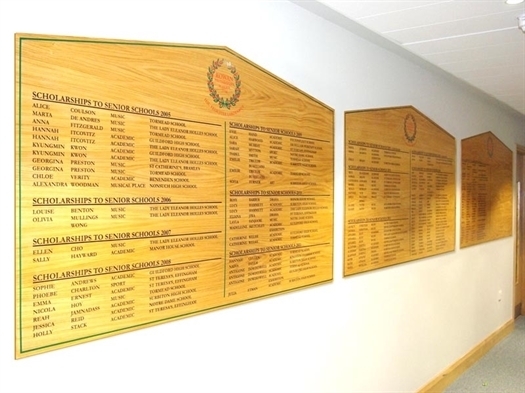 Offered in a range of sizes with either hidden or brass fixings, these honours boards will enhance any location.